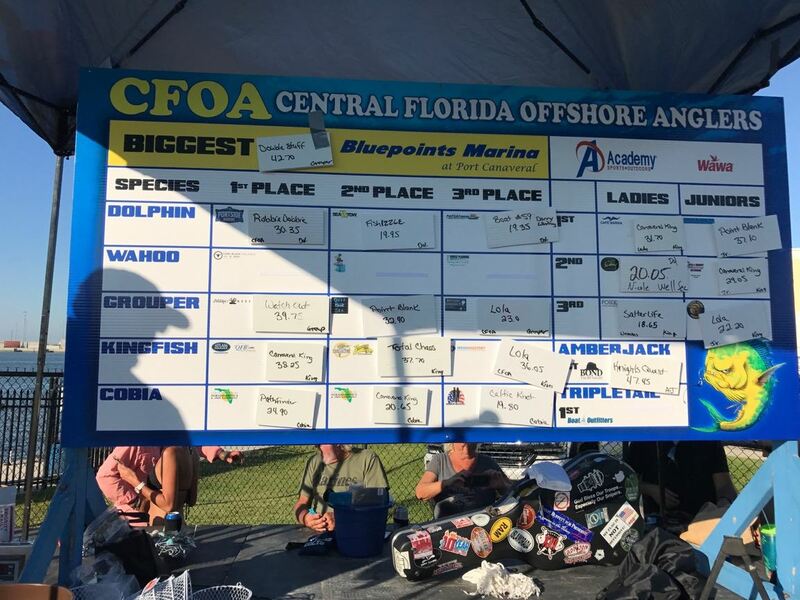 The CFOA 32nd Annual Port Canaveral Fishing Tournament has been set for May 27th, 2017. 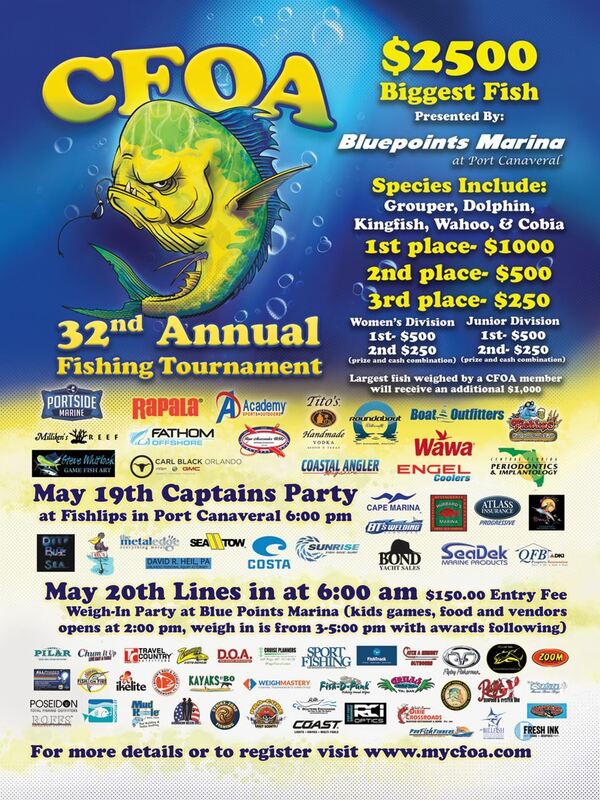 Join us at Fishlips Waterfront Bar & Grill in Port Canaveral for the party to kick off the 32nd Annual CFOA tournament. There will be fun for the whole family with raffles, 50/50's and more. 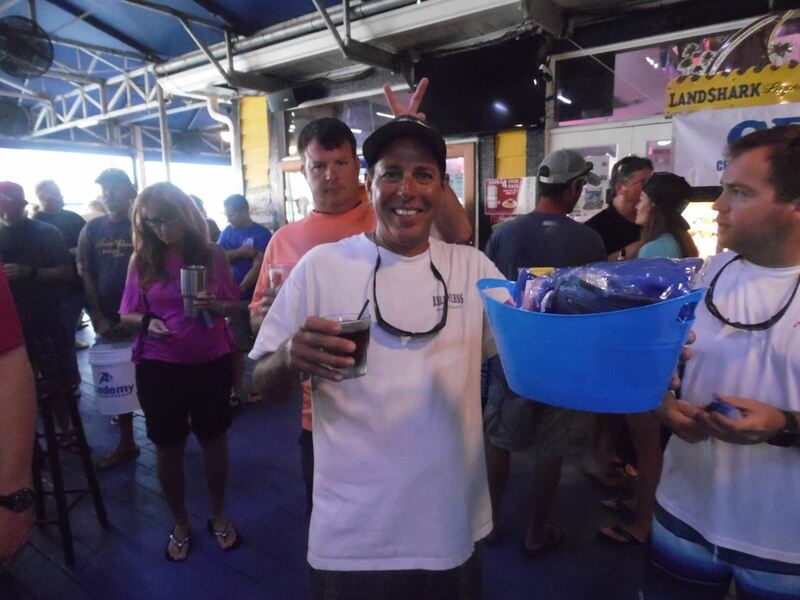 A member from each boat must be present as you will receive your boat numbers and complete list of rules at the weigh in. You may register at the captain's party or by clicking the registration link below. 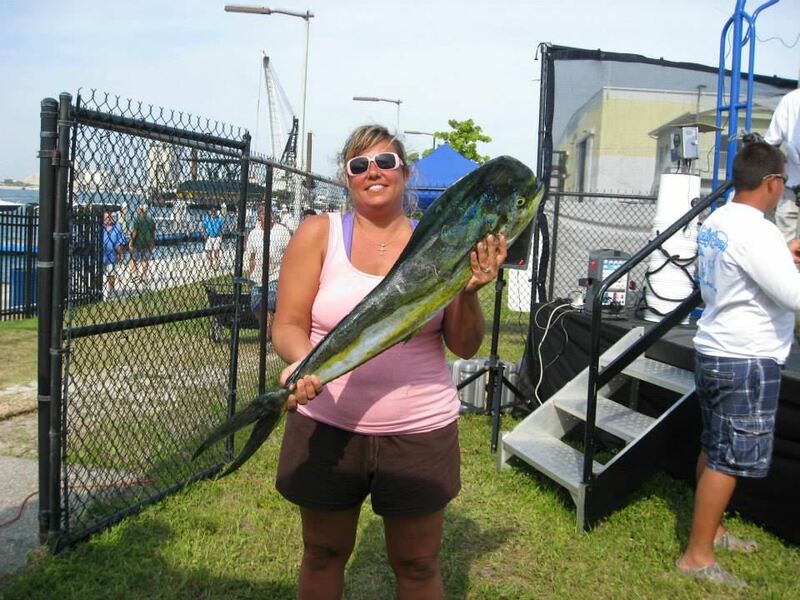 Join us for family fun while the boats bring in their fish. We'll have food, drinks, and a bounce house for the kids. 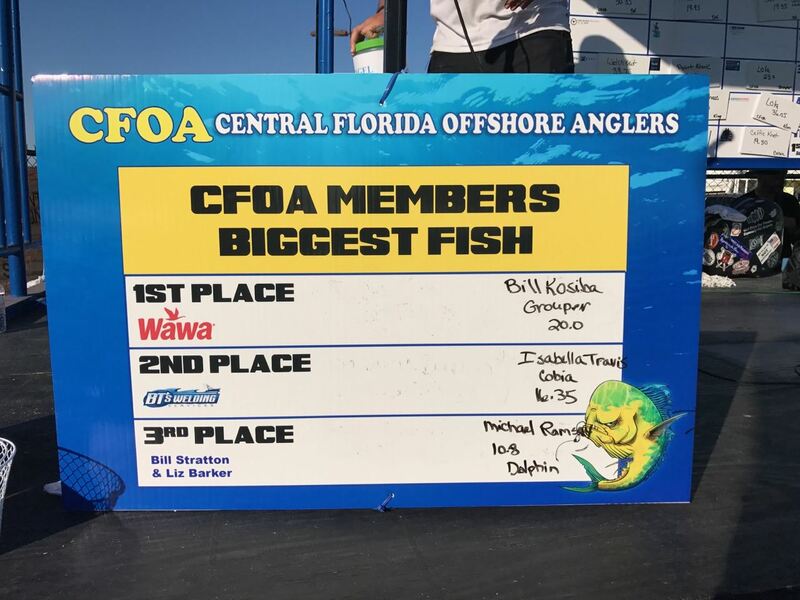 There will be sponsor booths to peruse and a raffle for great fishing merchandise. While there, checkout bluepoints marina and see all the wonderful amenities it has to offer. Take a walk down the fillet tables and see what else was caught that day. A great venue for a great tournament!